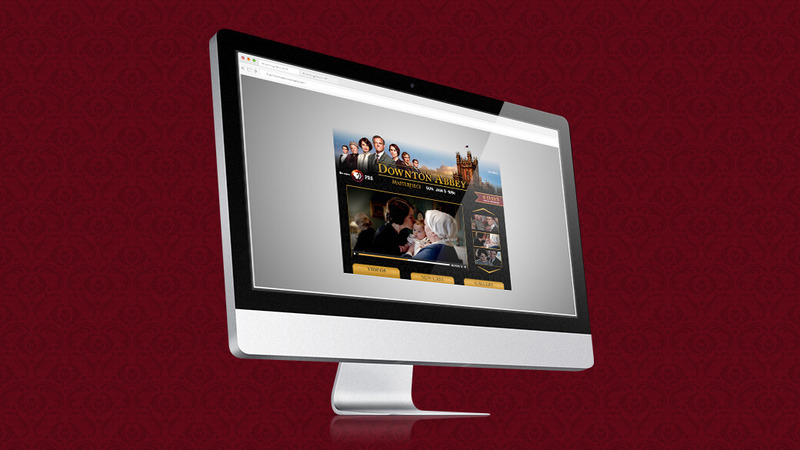 Downton Abbey’s expanded state mocked up on a desktop, overlaying the browser. 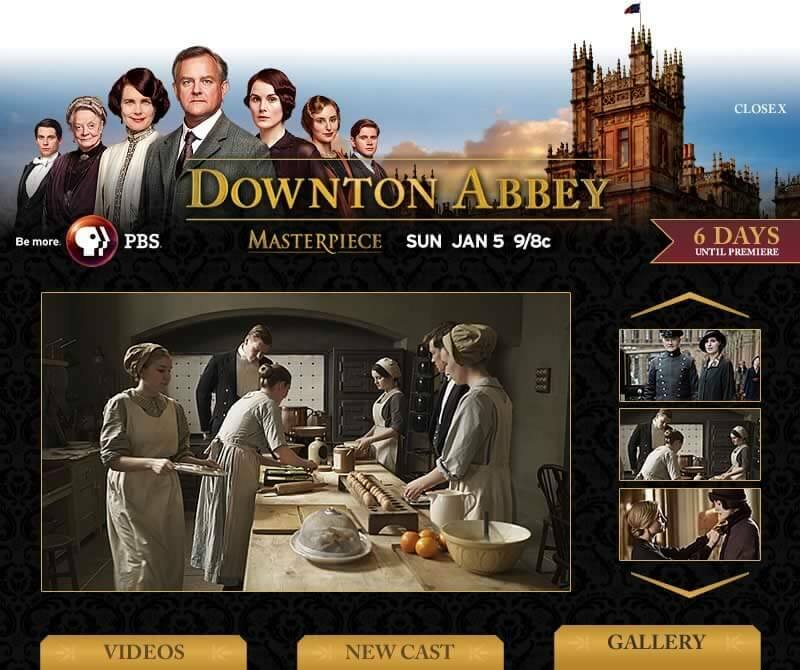 This is an expandable desktop unit promoting Downton Abbey’s Season 4 premiere on PBS. It’s primary focus was bringing users to watch the premiere, so messaging was targeted accordingly and the campaign’s run dates allowed the user to see the ad beforehand. 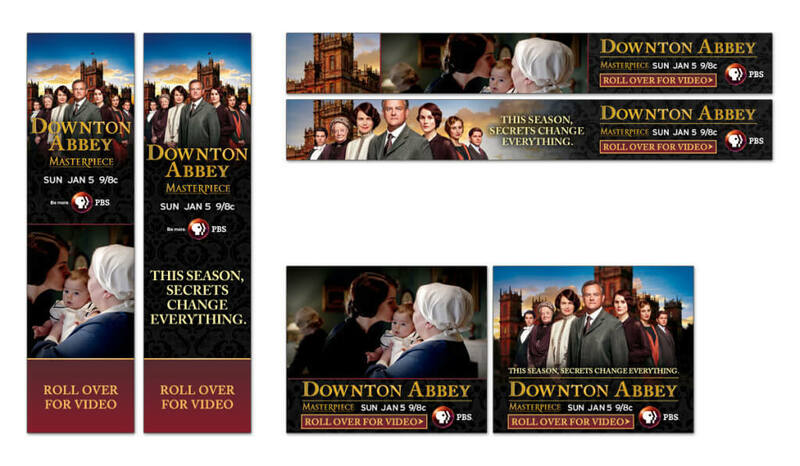 The pre-expand banners were also designed with dated messaging, having unique callouts before and after the premiere. Three pre-expand banners that included a 15 second video and and date-targeted messaging. Wanting to give users exclusive content on the upcoming season, the client provided tons of promotional materials, videos, bios, and images. Taking all of this into consideration, I designed and animated the expanded state to organize all the content into individual tabs. Starting with a promo video (and behind the scenes footage), the user can also see character bios and image galleries for the new season. Additionally, this unit reminds the user when the premiere is by using a countdown in the expanded panel. A tab on the expanded state with photos and short bios on the show’s characters. A tab on the expanded state with a photo gallery featuring screenshots from Season 4. 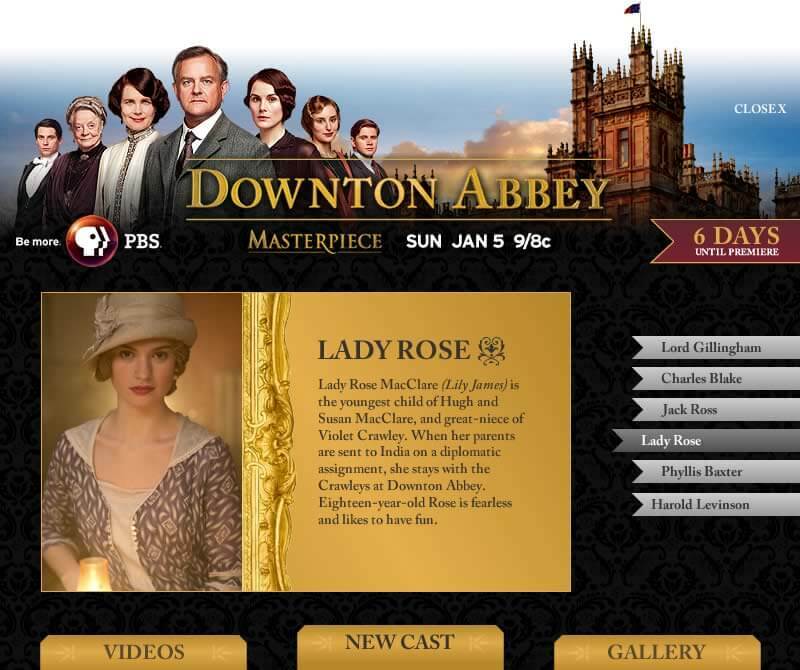 The final ad was built using Flash. Both the timeline and ActionScript classes were used for the animation and functionality. While working with the client, we were sure to make sure video and images assets were optimal for the banner and expand experiences.